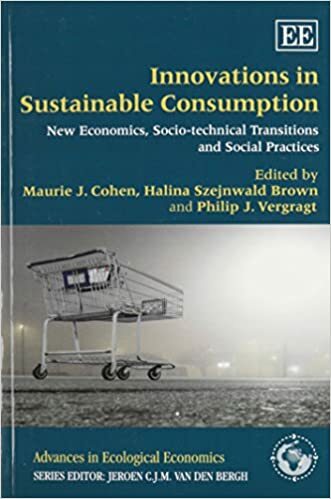 Invited Lecture on “Sustainable Consumption and Economic Democracy: Opportunities for Hybrid Cooperativism,”Mistra Center for Sustainable Markets, Stockholm School of Economics, Stockholm, Sweden, 9 February [Presentation Slides] [Summary Notes/Prepared by Karin Nordström]. Invited Lecture on “Sustainable Consumption and Economic Democracy: Opportunities for Hybrid Cooperativism,” Department of Energy and Environment, Chalmers University of Technology, Gothenburg, Sweden, 8 February [Presentation Slides]. Lecture on “The Future of the Sharing Economy,” Research Seminars and Public Lectures on Ecological Economics, Wirschaftsuniversität Wien (Vienna University of Economics and Business), Vienna, Austria, 29 September [Presentation Slides]. Presentation on “Law and Collaborative Consumption in the 21st Century,” Sharing Economy/Sharing City: Urban Law and the New Economy, Fordham University Law School, New York, NY, USA, 24 April [Presentation Slides]. Presentation on “Sustainable Consumption: A Brief Overview of Research and Policy,” Workshop on Sustainable Production and Consumption: Research, Policies, and Practices, College of Business Administration, Abu Dhabi University, Abu Dhabi, United Arab Emirates, 22 March [Presentation Slides]. Presentation on “Sustainable Consumption at the Municipal Scale,” Webinar on Measuring and Scaling Sustainable Consumption for Cities, Sponsored by the West Coast Climate and Materials Management Forum and Environmental Protection Agency Regions 9 (Pacific Southwest) and 10 (Pacific Northwest), 2 December. Lecture on “The Future of American Consumer Society,“ School of Sociology and Political Science, Shanghai University, Shanghai, China, 13 November [Presentation Slides]. Presentation on “Is Sustainable—or at Least Less—Consumption Inevitable?” Workshop on the Role of Cities in Advancing Sustainable Consumption (convened by the Sustainable Consumption Research and Action Initiative, the Urban Sustainability Directors Network, and the City of Eugene (Oregon), Eugene, OR, USA, 29 October‒1 November. Presentation on “The Illusory Promises of the Sharing Economy,” Sustainable Consumption Institute, University of Manchester, Manchester, UK, 24 September. Presentation at the Sustainable Consumption Research Group, School of Business and Information Technology, University of Borås, Borås, Sweden, 20 November. Keynote at the First Modernization Forum, China Center for Modernization Research (CCMR), Chinese Academy of Sciences, Beijing, China, 8–10 August. Keynote at Climate, Mind, and Behavior Symposium, Garrison Institute, Garrison, NY, USA, 10–12 June. Presentation on “Positing a Post-Consumerist Future: Social Innovation in an Era of Fading Economic Growth,” Tellus Institute, Boston, MA, USA, 1 May. Keynote at After Rio+20: Moving Beyond 2015–Advancing a Global Citizens Movement Around Sustainable Development, Ramapo College of New Jersey, Ramapo, NJ, USA, 15–19 October. 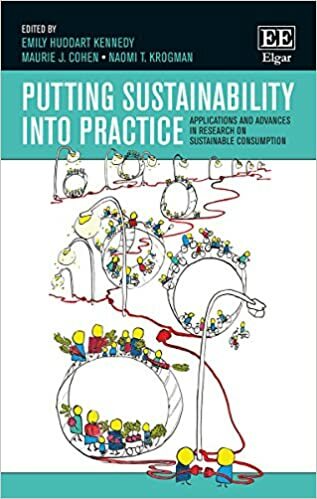 Keynote at Sustainable Consumption Conference, National University of Ireland, Galway, Ireland, 18–20 May. Presentation on “Dematerialization: Transitioning to an Economy Without Waste,” Future of the Region, Metro Vancouver Council of Governments, Vancouver, British Columbia, Canada, 28 March. Presentation to Catholic Relief Services Scenario Planning Team, Catholic Relief Services, Baltimore, MD, USA, 12 May. Keynote at Sustainability Symposium 2011: Sustainability: Is It More Than We Think? La Salle University, Philadelphia, PA, USA, 19 March. Presentation on “Systems Innovations at the Forefront of Economic Recovery,” Antioch University New England, Keene, NH, USA, 5 March. Presentation on “From Sustainable Development to Sustainable Well-Being,” NJIT Board of Overseers, Newark, NJ, USA, 3 March. Presentation on “The Political Economy of Economic Growth,” Energy and Sustainability 2010, IGERT Sustainable Energy from Solar Hydrogen, University of Delaware, Newark, DE, USA, 23–25 September. Keynote at “The ‘Good Life’: Imagining Alternative Futures, Institute for Environmental and Regional Studies, Pace University, New York, NY, USA, 5 November. Presentation to Sustainability Training for Senior Managers of the Office of Research and Development, United States Environmental Protection Agency, Washington, DC, USA, 24 June. Keynote at Ecosistema y Desarrollo Sostenible en el Perú 2010 (Ecosystems and Sustainable Development in Peru 2010), Chamber of Commerce of Lima, Lima, Peru, 1 June. Presentation at FDU Green Day, Fairleigh Dickinson University, Madison, NJ, USA, 26 April. Presentation on “Sustainable Consumption,” Linking Social Science Data and Environmental Data for Climate Change Research, National Academy of Sciences, Washington, DC, USA, 11 December. Presentation on “Toward Strong Sustainable Consumption,” Towards Sustainable Consumption in Developing Asia: Challenges and Research Needs, Institute for Global Environmental Strategies, Kanagawa, Japan, 26–27 June. Keynote at Living on Earth Workshop, Experimental Program to Stimulate Competitive Research (EPSCoR), University of Alaska‒Anchorage, Anchorage, AK, USA, 13–15 May. 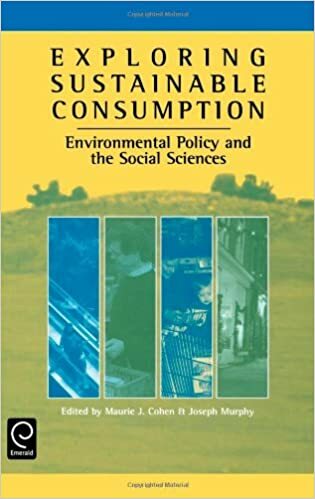 Presentation at “The International Political Economy of Sustainable Consumption: Implications for Policy Making,” Les Enjeux de la Consommation Durable: Conférence Scientifique, Sciences Po, Paris, France, 15–16 January. Keynote at Towards Sustainable Consumption and Production in Lithuania and Europe, Lithuanian Ministry of Environment and Lithuanian Ministry of Economy, Vilnius, Lithuania, 19–20 March. Presentation at Conference of the Royal Society of Chemistry (American Section), Valley Forge, PA, USA, 19 May.